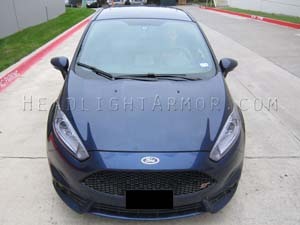 Protect the lights of your Ford Fiesta with Headlight Armor lighting protection film kits. Great accessories for your vehicle. Choose our nearly invisible classic clear headlight savers for protection without changing the look of your vehicle, or choose one of our colored / tinted versions to add some style with the protection. Colored options include HID Blue (shines bright white), GT Yellow, and several levels of Smoke. 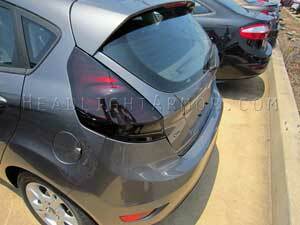 Smoke out your taillights with our smoked film covers. 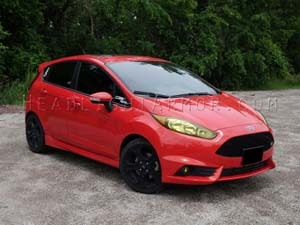 These are manufactured to fit your 2014, 2015, 2016, 2017, 2018 or 2019 Ford Fiesta Hatchback. Given the shape of the lens they do take more patience than most to apply.